HostOnNet can supply you with fully-managed WordPress hosting for your website or blog. We are a leading WordPress assistance company, and our clients trust the WordPress hosting solutions that we provide. You can have your very own self-hosted WordPress blog with your own domain, with custom themes and plug-ins with WordPress hosting at very affordable prices. You can use our 1-click install service available through our hosting accounts to install WordPress on your domain, or if you prefer, we can help set it up for you. You can also feel safe in knowing that we will provide you with personalized support if you run into any issues. Install WordPress instantly. UNLIMITED Space and UNLIMITED Bandwidth. Whether you're a WordPress blogger or a veteran WordPress developer, HostOnNet provides everything you need for your WordPress website. The entire staff are the best WordPress experts, so you never hear "We don't know how to do that". Our hardware, software, and network design have been optimized for WordPress hosting like no other platform.All-SSD servers with multiple caching layers. 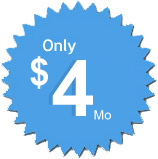 With our plans starting at $4/mo, our WordPress hosting is fully scalable as your site grows.You can upgrade or downgrade your web hosting package at any time. Easily manage your WordPress websites as well as email, domains, and advanced features with custom-built tools. We stay on top of the latest technologies, and provide support for applications such as: PHP 5, MySQL 5. You have the complete freedom to install any 3rd party WordPress themes or plug-ins that your heart desires. Your data's safe with us! 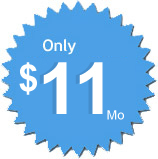 All WordPress sites hosted on a HostOnNet plan are automatically backed up.